Ensure that the Socialist alternative remains on the ballot in California. 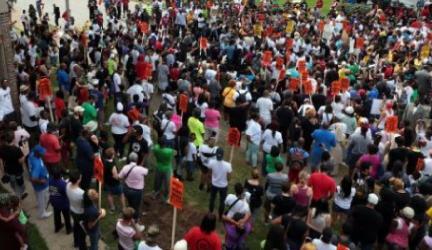 Indict Darren Wilson and Daniel Pantaleo who murdered Michael Brown and Eric Garner, on federal charges. Abolish Grand Juries. Charge individual officers and office holders with murder and human rights violations of public's right to protest, as appropriate. Drop all charges against peaceful protesters and compensate them for wrongful arrest. 1. Go to your bank's "bill pay" page. 2. Click on new payment. 3. Click on recurring monthly. 4. Enter an amount between $5 and $20. 5. For Account # enter your name. 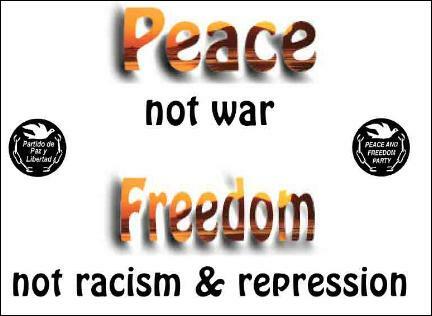 Visit our on-line political journal - The Journal of Peace and Freedom - a project of the Venice Peace and Freedom Party. 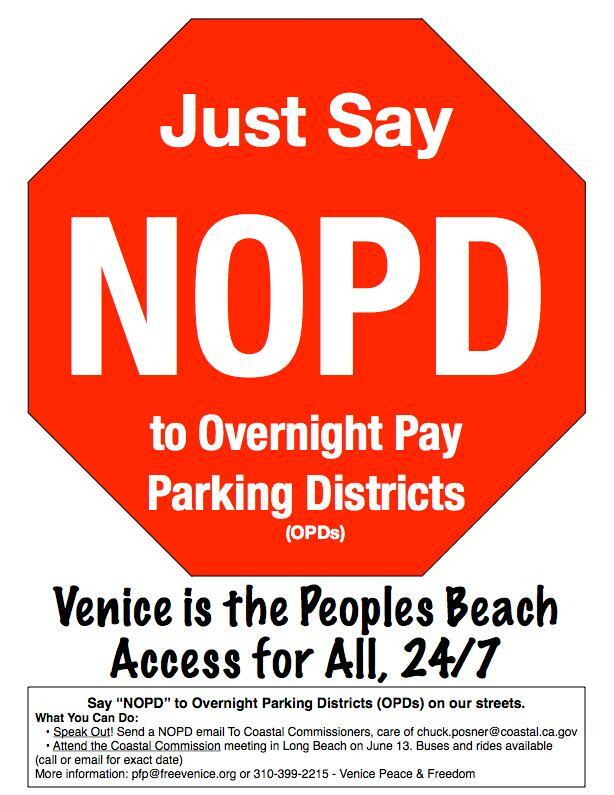 Thanks to everyone who participated in the victory to keep Venice's Peoples Beach FREE! Venice P&F was able to distribute 12,000 postcards and flyers with your help. 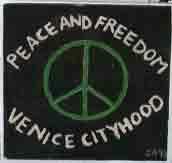 Get involved in the Venice Peace and Freedom Chapter. pfp@freevenice.org or 310-399-2215. Join our fight to preserve access to the coast by poor and working class people. Keep the California Peace and Freedom Party on the Ballot. 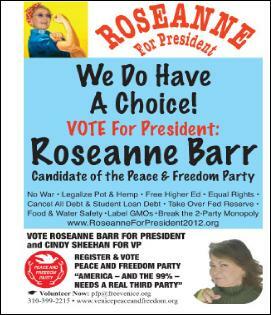 In spite of being on the ballot in only three states, Roseanne Barr and Cindy Sheehan, the Peace and Freedom candidates came in fifth in total votes, behind the Democrats, Republicans, Libertarians and Greens. Barr/Sheehan were also official write-in candidates in 24 other states. Those votes have not yet been counted. The preliminary tally for the Venice Congressional District (33rd) is 840 votes, while statewide our canidates received 36,974 votes. The Rally for Roseanne, Sept. 22, sponsored by the Venice Peace and Freedom Chapter, was a great success. About 400 people packed the Church in Ocean Park, sat in aisles, stood shoulder-to-shoulder, and even filled a large storage room when other space ran out. 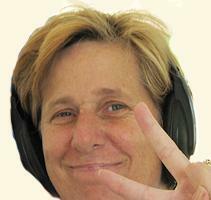 They were fired up by Suzy Williams (the Songbird of Venice) and her Peace and Freedom Blues and Marching Band. Suzy wrote some new songs about P&F and Roseanne for the occasion. in the country, Los Angeles. by the sea that is a model for all. that is not ruled from afar. where the arts can flourish. let's make Venice number 89. 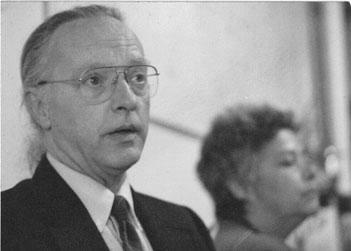 Video: John Haag talks about the founding of the Peace and Freedom Party.